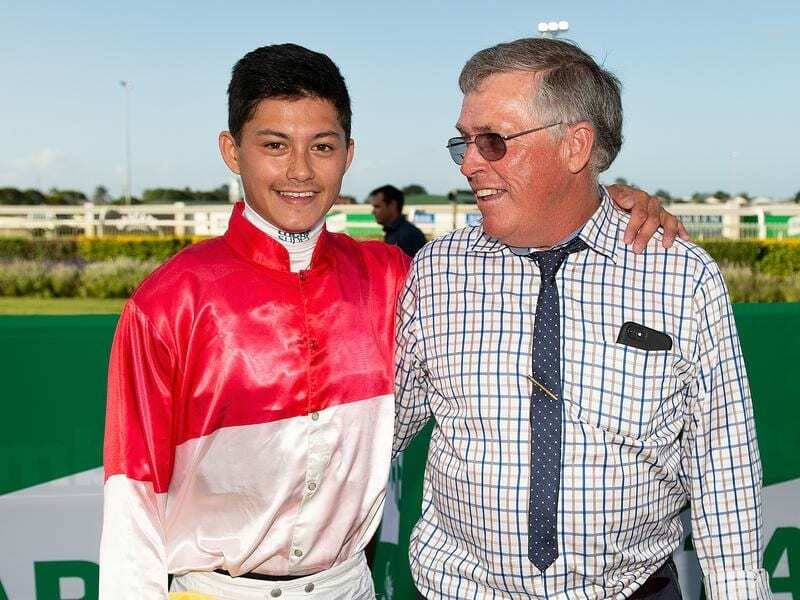 Apprentice Michael Murphy and trainer Steve Tregea are chasing a two-state double. Apprentice Michael Murphy is set for the best week of his career when he links with his greatest supporter trainer Steve Tregea for a two-state assault. Murphy will ride Prioritise for Tregea in the Gosford Gold Cup on Thursday and then return to Brisbane for the ride on Bergerac at Eagle Farm on Saturday. Tregea has used Murphy extensively in the past year, including a win at Randwick on Begerac and a victory on the same horse in the Listed Bernborough Handicap at his last start. The Toowoomba-based trainer has stuck with Murphy despite the fact the jockey is still a 2kg claiming apprentice. Even when Murphy was criticised for a defeat on Prioritise in the Listed Brisbane Handicap last month, Tregea was quick to leap to his defence. “I think Michael is a very good rider. Those who criticised him for that ride in the Brisbane Handicap were out of order,” Tregea said. Prioritise has been an iron horse, campaigning for almost six months and winning five races with his latest at the Gold Coast on January 5. He is a free-wheeling horse who can lead or sit on the pace and Tregea thinks the Gosford course will be ideal for him. “I am always keen to get him out to 2000 metres and he has barrier one. So the race should be run to suit him. It is worth a crack for the big prize money,” he said. Bergerac is gradually building up to the form which saw many rate him as a Group horse last campaign. “He has got better with each run and although he is up sharply in weight at least Michael can claim,” Tregea said. Tregea’s other Group performer Niccanova is out spelling after a paddock accident. “He was kicked by another horse and needs a break. He only had one run left this campaign anyway so all isn’t lost,” Tregea said.